Check your PC can handle Lara's latest adventure with these system requirements for Shadow of the Tomb Raider. With Shadow of the Tomb Raider out now, it's worth checking if your PC suits the system requirements for the latest in the Lara Croft series. 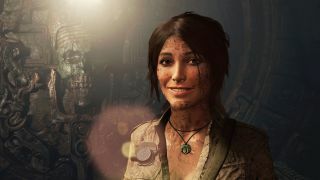 Luckily, the minimum requirements are not too demanding for the game that Andy calls "one of Lara Croft's best modern adventures", and if you haven't upgraded your PC for a couple of years because maybe you're waiting for new graphics cards, you'll probably be okay. They're pretty close to those for the last Tomb Raider, Rise. Here, then, are the minimum and recommended system requirements for Shadow of the Tomb Raider. That should be everything you need to get started. Don't miss our Challenge Tomb locations guide too if you're picking up the game.